The Israeli authorities renewed administrative detention of Palestinian parliament member, Khalida Jarrar, for the fourth time in a row, on Thursday. A Ma’an reporter, who obtained a copy of the renewal order, said that the order renews Jarrar’s detention for four extra months. Israeli forces had detained Jarrar on July 2, 2017; a year after the release, her detention was renewed late December 2017 for six months that was supposed to end on June 30, 2018. However, on June 16, Israel renewed Jarrar’s detention for another three months. 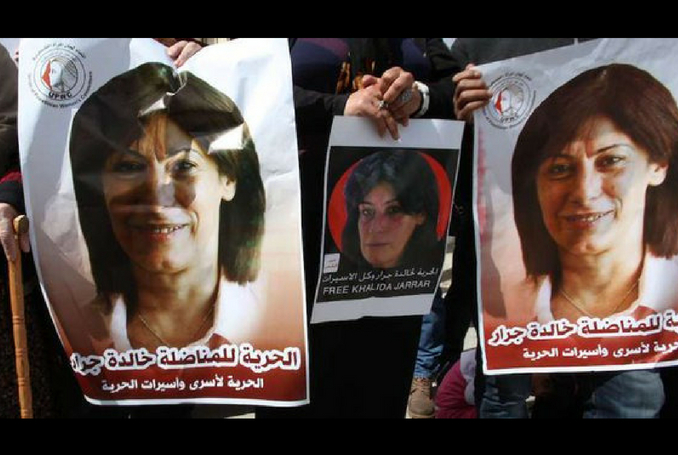 Be the first to comment on "Israel Renews Administrative Detention of Khalida Jarrar #Palestine #GroupPalestine #israelTerrorists #boycottIsrael"